Soft Cover A4 portrait style; 33 pages. 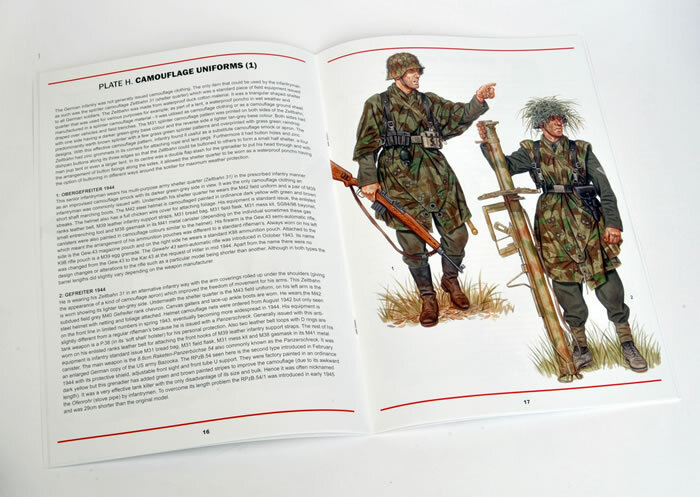 Highly Recommended to all enthusiasts of German uniforms, figure painters and modellers. 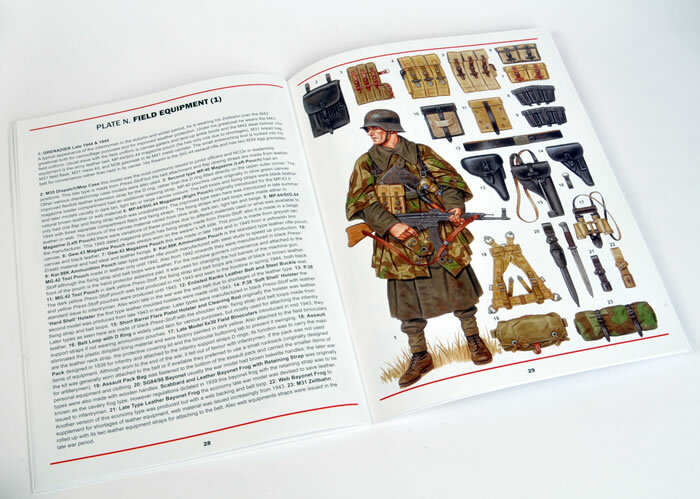 If you are a figure painter or just interested in German WWII uniforms, then this book will be perfect for you. 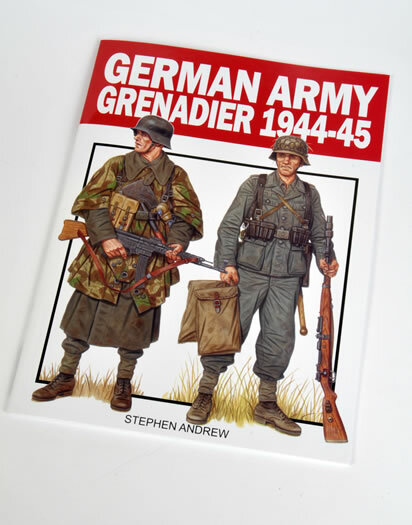 Stephen Andrew’s “German Army Grenadier 1944-45” comes in A4 size, soft cover format, with thirty three pages, fifteen of which are excellent colour art plates showing the various uniforms and equipment used by German Army Grenadiers. 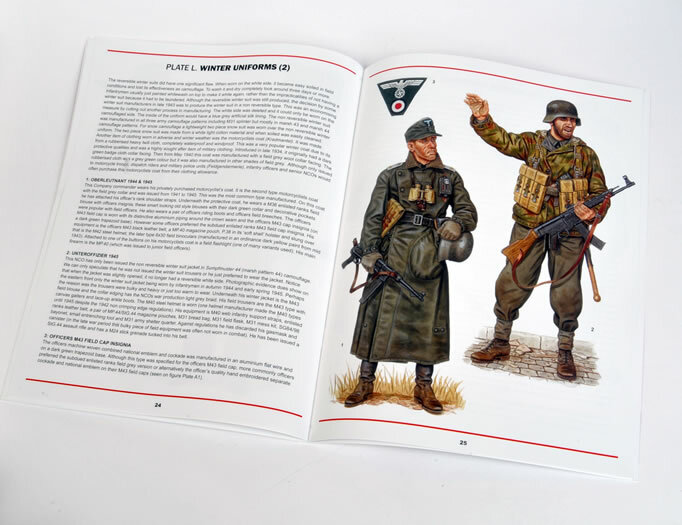 These images are accompanied by helpful descriptions and explanations, and also artwork of the different unit insignias. Stephen Andrew is a very talented artist. His art has been used in the works of several publishers, Osprey being one. This is a welcome publication that appears to be the first of a series. I am looking forward to future titles. I highly recommend this book to all enthusiasts of German uniforms, figure painters and modellers.